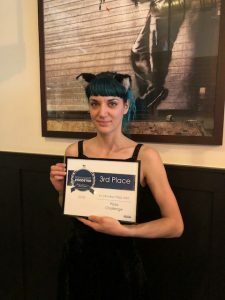 The Vancouver Foodster 4th Pizza Challenge was a great success featuring unique creations at restaurants around Vancouver, Coquitlam, New Westiminster, North Vancouver, Horshoe Bay, and Squamish. 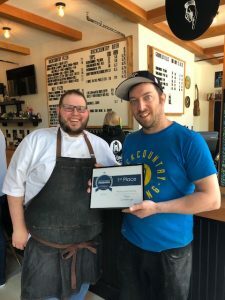 Each restaurant featured their creation on their menu from April 5-29, 2018. and their customers voted for their favourites daily throughout the challenge for their People’s Choice favourites. Our Media judges for this challenge were: Tara Lee, David Grange and Josh Boettcher. 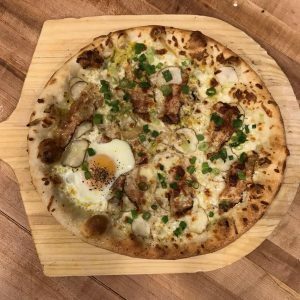 Description: Pepper crusted Guencaile, Northarm farm Sunchokes, Creamed leeks & Free ranged Egg with Truffle oil served ontop our house made 24 hour fermented Neapolitan style pizza dough, hand stretched to order. Ingredients: Truffle cream, Leeks, Sunchokes, Guanciale, Caramelized onion, Green onions, Mozzarella, Free run egg. 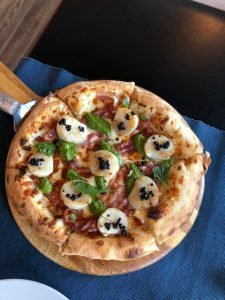 Description: This pizza uses some of the basic luxuries from a contemporary Italian garden and pantry. Starting with our braised garlic alfredo sauce, we combine the unique flavor of roasted Cornish game hen with a balance of traditional herbs and spices topped with our modern version of pesto to finish. 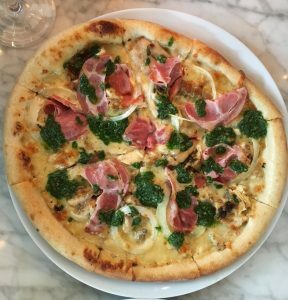 Ingredients: Roast game hen, capicola, braised garlic alfredo, sweet onion, smoked caciocavallo, arugula pine nut pesto. Description: Garlic oil base with fresh mozzarella and grated fontina. 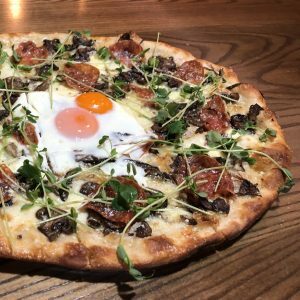 Topped with a mushroom confit, spicy panchetta and chili flakes. Cooked with 2 eggs nestled in the middle, and finished with peashoots, lemon oil and truffle salt. Served on our 14 inch crust only! Ingredients: Olive oil, Garlic, Mushroom, Thyme, Spicy pancetta , Chili flakes, Lemon rind, Peashoot, Egg, Truffle salt, Fresh mozzarella, Fontina, Salt & pepper. In the People’s Choice Awards category, the public who tried the Pizza Creations were the ones who had the opportunity to cast their vote throughout the challenge. 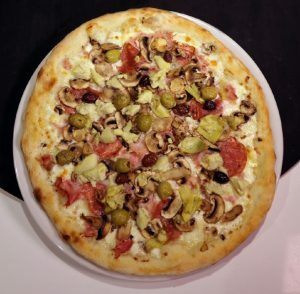 Ingredients: Mascarpone, Fior di latte, prosciutto cotto , salami, mushrooms, artichokes, Sicilian mixed olives. Description: Celebrating British Columbia with Fresh scallops, house double smoked bacon, besciamella, fresh homemade pesto sauce, balsamic caviar. Ingredients: Fresh scallops, house double smoked bacon, besciamella, fresh homemade pesto sauce, balsamic caviar. 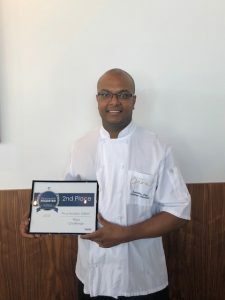 Thank you to all the chefs and restaurants that accepted my invitation and featured the Pizza Challenge creations on the menu for the past few weeks during this challenge. 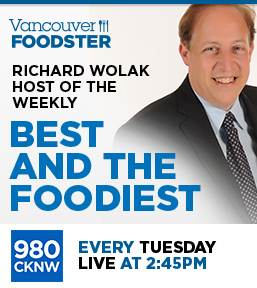 I encourage you to visit the winning restaurants to try their Pizza creations! See all the Pizza Challenge Entries Here.